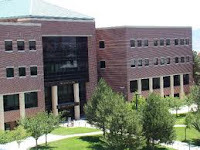 The Department of Computer Science and Engineering (CSE) at the University of Nevada, Reno (UNR) (http://www.cse.unr.edu) invites applications for two Graduate Fellowships in the 2011-2012 academic year. The fellowships are open to new doctoral students who have been accepted to the Ph.D. program in CSE for Fall 2011. Each fellowship provides a stipend of $23,000; an additional $7,000 is provided for covering tuition fees, health insurance, and other fees. Each fellowship is for up to three years of support, provided that academic progress is maintained. Specific details about fellowship requirements, obligations, and application process are provided below. The department currently has 35 PhD students in the program and expects to increase the size to 50 over the next years. Students who wish to enter the Ph.D. program must possess a Bachelors (BS) or Master of Science (MS) degree in either computer science or computer engineering. The department will consider applications from students lacking this background if they show exceptional promise. Specific admission and program requirements can be found at the following website: http://www.cse.unr.edu/academics/graduate/cephd-new.html. The Department will reimburse the application fees for admission for applicants with a GPA greater than 3.5 and a GRE Verbal + Quantitative score greater than 1,250 (with a GRE Quantitative score greater than 750). The Department of CSE currently has 13 full time faculty members and offers B.S., M.S., and Ph.D. degrees supporting a dynamic and growing program with approximately 300 undergraduate and 70 graduate students. Graduate students seeking the Doctor of Philosophy in Computer Science and Engineering are given the opportunity to focus on a specific area in computer science and engineering by taking advanced courses and becoming significantly involved in many aspects of original research, advancing scientific knowledge in their field of specialization. In particular, they implement prototype systems, develop and prove new theories, conduct experiments, attend international conferences, and publish their results in scientific journals and conferences. There are four main research areas within the Department: Computer and Network Systems (Dwight Egbert, Mehmet Gunes, Yaakov Varol, Murat Yuksel), Games and Simulations (Kostas Bekris, Bobby Bryant, Dwight Egbert, Eelke Folmer, Sushil Louis), Intelligent Systems (George Bebis, Kostas Bekris, Bobby Bryant, Sushil Louis, Mircea Nicolescu, Monica Nicolescu), and Software Systems (Sergiu Dascalu, Eelke Folmer, Fred Harris). Research topics within these focus areas with strong faculty expertise include: agent modeling, artificial intelligence, evolutionary computing, motion planning, pattern recognition, robotics, image processing, computer vision, graphics, virtual reality, digital interactive games, security, human-computer interaction, software design, parallel and distributed computing, embedded systems, networks, and wireless communications. The research activities and experimental facilities have been well-supported by various federal research and infrastructure grants. UNR is an integral part of the Reno metropolitan area, home to approximately 300,000 people. The 255 acre main campus, located minutes from downtown Reno, features both contemporary and historic architecture, and the university’s tree-lined Quadrangle is listed on the National Register of Historic Places. The academic atmosphere is filled with rich surroundings for the cultural and intellectual development of the students. Reno is bounded on the west by the majestic Sierra Nevada mountain range and on the east by the rolling basin and range province, Reno benefits from a comfortable climate. There are four distinct seasons in this cool, dry climate where the sun shines nearly 290 days a year. The area is noted for its variety of recreational opportunities, which include sailing, camping, hiking, fishing, and sightseeing. Within an hour’s drive of the campus, for example, are Lake Tahoe in the High Sierra, and Pyramid Lake, a unique prehistoric desert sea. Also within an hour’s drive are a number of nationally known ski areas, including Squaw Valley, site of the 1960 Winter Olympics. Reno is within 2 hours’ drive from Sacramento and 3.5 hours’ drive from San Francisco. Up to three years of support, provided that academic progress is maintained. $23,000 per year; an additional amount of $7,000 will be provided for covering tuition fees, health insurance, and other fees. Admission to the CSE doctoral program; apply by March 15, 2011. Undergraduate GPA greater than 3.50. GRE score of at least 1250 on the combined verbal/quantitative section with a minimum quantitative score of 750. TOEFL score of at least 600 (for international students only). Evidence of previous research experience and academic achievements (e.g., awards, recognition, or honors). Maintain good academic performance and progress during each term of the award or the fellowship will be cancelled. Maintain full-time enrollment in CSE doctoral program (9 credit hours are required during the fall and spring terms). Submit a research proposal by the end of the first year and make satisfactory research progress (i.e., research reports and publications) each year after. For consideration, interested applicants should submit (1) a resume, (2) three reference letters, (3) a one-page statement of purpose (describing reasons for applying, research interests and career goals), (4) documentation of studies (e.g., research reports, publications) demonstrating aptitude for research, (5) official GRE and TOEFL scores (TOEFL scores for international students only), and (6) scanned copies of official transcripts. All documents should be sent to Trish Spoon, CSE Office Manager (tspoon@unr.edu) in electronic form by March 15th 2011. For information about graduate studies in CSE, please contact Dr. George Bebis, Graduate Director (bebis@cse.unr.edu). Demikian kami sampaikan tentang Graduate Fellowships, Department of Computer Science & Engineering, University of Nevada, USA semoga informasi tentang Graduate Fellowships, Department of Computer Science & Engineering, University of Nevada, USA ini bermanfaat.